« Pipes at the Pyramid! Chili Cook-Off, YUM!! 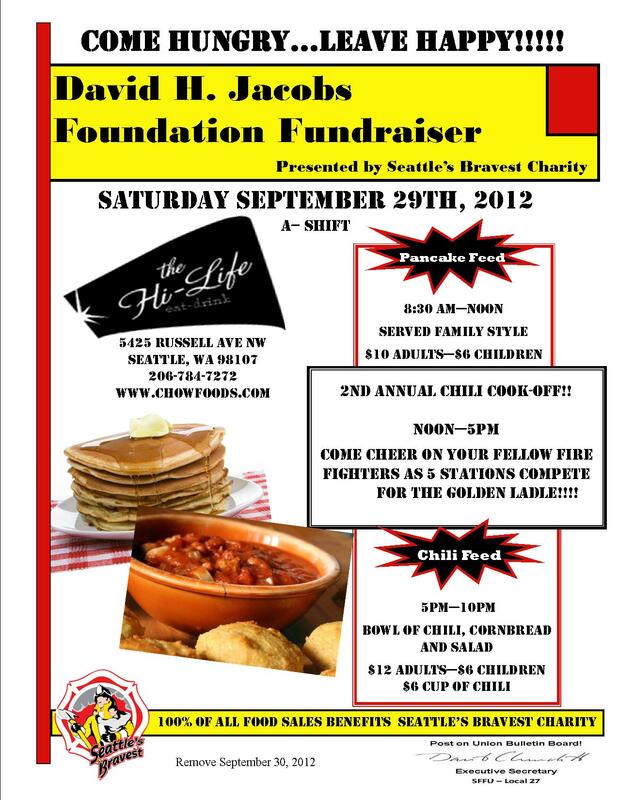 Come out this Saturday to support the newest part of Seattle’s Bravest Charity, the David H. Jacobs Foundation! The David H. Jacobs Foundation’s sole purpose is to provide funding for Home Hospice Care for active Seattle Fire Department Uniformed Personnel wo are in the late stages of a terminal cancer illness. A worthy cause and a wonderful event!